The Hoag Scholarship is a $10,500 four-year scholarship that was first awarded in 2013. The scholarship is fully funded and was established by Courtenay and Maurice Hoag to provide financial assistance to a student pursuing a Bachelor’s Degree in Chemical Engineering. The Albion HS Alumni Foundation awards one scholarship annually at $10,500 over four years and is paid out at $2625 per year upon successful completion of each year of college. The recipient must continue in an engineering major over the four year scholarship period. One of sixteen scholarships being managed and awarded by the Albion HS Alumni Foundation, The Hoag Scholarship is the only scholarship awarded over a four year period – benefiting a student through to the end of their degree pursuit. The scholarship was not awarded in 2014 because there were no applicants pursuing a Chemical Engineering degree. The Foundation encourages students with possible interests in this field to research the wide range of career possibilities a degree in Chemical Engineering could provide and consider applying for this valuable scholarship. 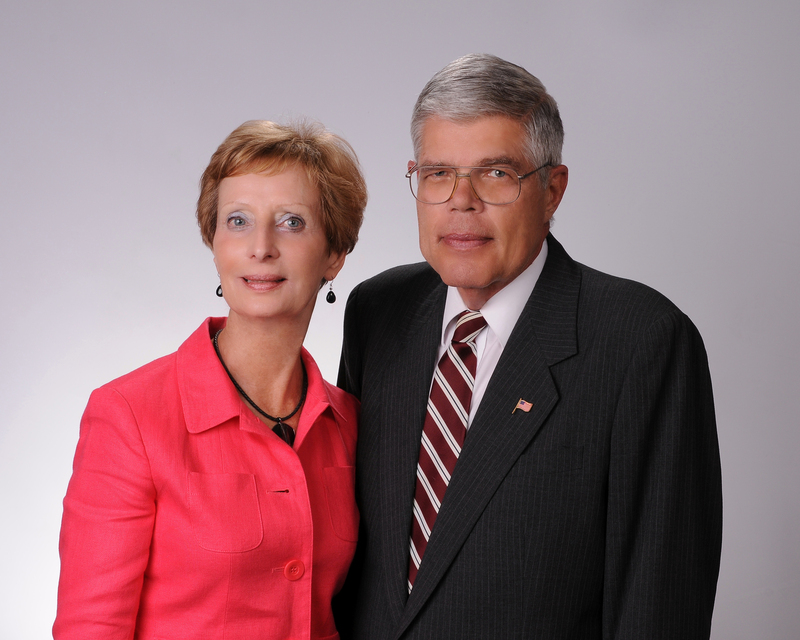 The Hoag Scholarship was made possible by funding provided by Courtenay and Maurice Hoag. Maurice (“Mo”) Hoag graduated from Albion High School as the Valedictorian of the class of 1961 and from the College of Chemical Engineering at Cornell University in 1965. He met his wife, Courtenay, while in college and they were married the day before they graduated from Cornell. Mo worked for 30 years with Stauffer Chemical company, beginning in New York City and later at the Houston, Kansas City, Geneva, Switzerland, and Westport, CT locations. His work had him traveling extensively throughout the United States and internationally to Johannesburg, Moscow, and Tokyo. Courtenay, a native of Baltimore, MD, worked for IBM and also did a lot of business travel internationally – mostly to Western Europe and Japan. They both retired in 1995 and moved to Whispering Pines, NC. In 2004, they relocated to Courtenay’s hometown of Baltimore, where they currently reside. Mo enjoys playing bad golf, fishing, traveling, and working in his shop fixing things that are not broken. The Hoags have a small RV that they use for extensive travel all over the USA, having traveled to all 50 states….they found that the bridge toll to Hawaii was too expensive, so they actually flew to that state! They also enjoy one or two major trips a year outside the USA. After traveling over the past 45 years, they claim there is hardly any place on earth that they have not visited – at least the places where any sane person would really want to go. When asked what he remembers most about high school in Albion, Mo responded that he remembers “the long days of homework, working at some job to earn money, involvement with the Scouts, the Albion Sportsman’s Club, and the First Baptist Church. But most of all, the good friends and the overall great camaraderie during all his school years from Mrs. Coffey’s class to room 318. The long day training served me well, as they got even longer in college and didn’t decrease much in my working years. Now that I am retired, I get up in the morning with absolutely nothing that I have to do, but, by the time I go to bed I only have half of it done.”, said Hoag in his bio provided to their 50th class reunion committee. Thank you to the Hoags for their generosity in establishing this amazing scholarship. Good luck to Trevor Hadick on his continued success at Carnegie Mellon. And best of luck to all future students considering this scholarship to help them achieve their educational goals. If you are interested in more information about establishing a scholarship or the Foundation in general, you may drop us a note at: Albion High School Alumni Foundation, Inc. P.O. Box 345 Albion, NY 14411-0345.